The Strokes are an American rock band. The band was formed in New York City in 1999 and consists of singer Julian Casablancas, guitarists Albert Hammond Jr. and Nick Valensi, bassist Nikolai Fraiture and drummer Fabrizio Moretti. 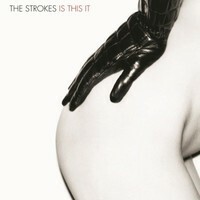 In 2001 they released their debut album Is This It in which The Strokes were seen in the post-punk and garage rock revival. As arbiters The album was praised worldwide and NME renamed the group to the Saviours of rock 'n' roll. Two years later, the sequel album Room on Fire came out, followed by First Impressions of Earth in 2006. After the band recorded a long pause, in which several band members went to work. on solo projects In the spring of 2011 appeared the fourth studio album entitled Angles. His successor Comedown Machine came out in March 2013.